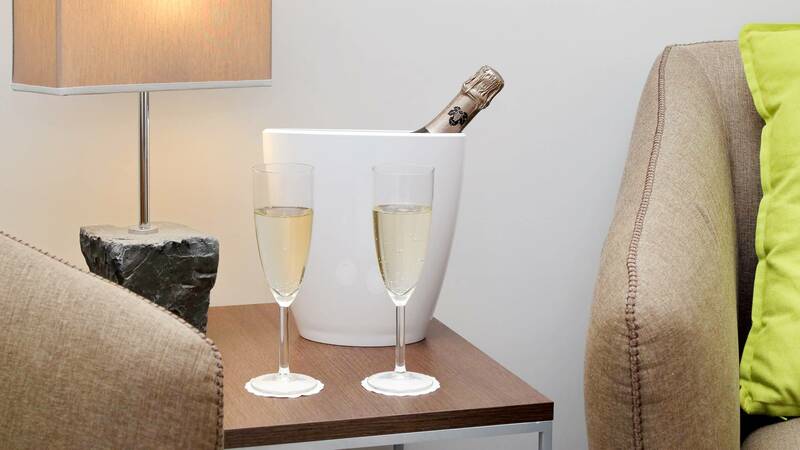 Relais Servio Tullio is located in an historical and elegant building. With its strategic location, in the very heart of the Eternal City, you will easily reach the Colosseum, Trevi Fountain and all the most attractive sights in the city. Relais Servio Tullio, will offer you a warm and unique welcome, characterized by a fascinating mix of elegance and cosy atmosphere. 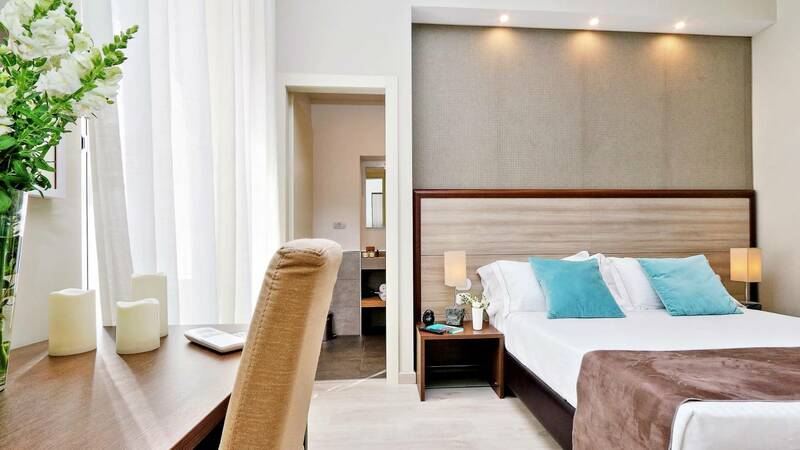 The rooms, recently renovated, are equipped with all modern amenities to make unforgettable your time in Rome. 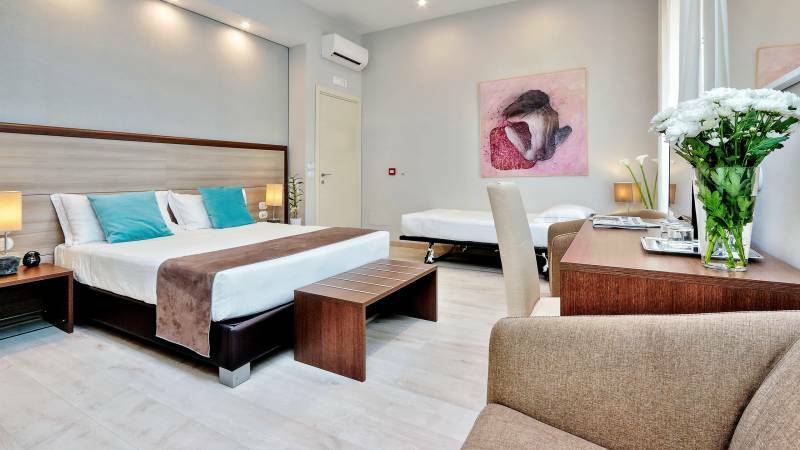 Relais Servio Tullio is a boutique hotel, located in the city center, perfect both for culture lovers and for business travelers, whose added value is the warm and customized welcome. very silent, new fixtures that do not pass a noise. We sleep very well. fruit, and much more. A beautiful bathroom, with new and very refined bathroom fixtures. and a short walk to the Repubblica metro. Breakfast starts at 8 and has a good variety of food. We stayed here for our last night in Italy, before returning to Canada. the main train station. The rooms overlook a quiet courtyard. 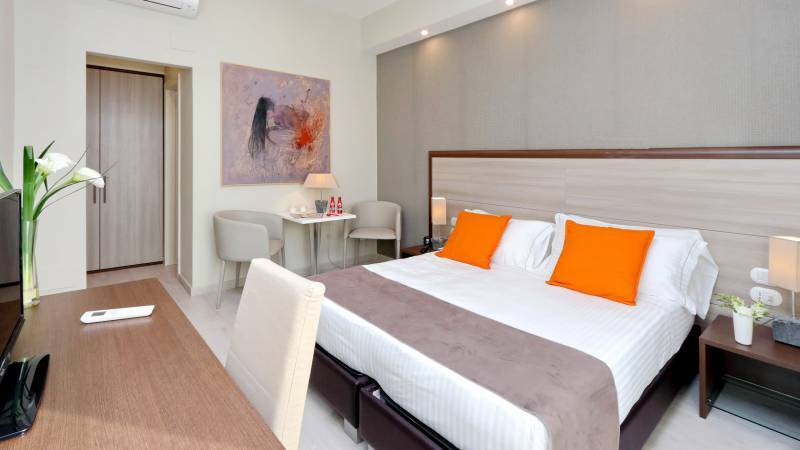 Excellent service, modern style rooms, and at a moderate price. tourist attractions and easy access to the subway. I would stay here again and recommend it to anyone. Piazza di Spagna and is very close to the central station. Excellent hospitality. Very nice apartment in a very elegant building. kettle for tea and coffee, biscuits and fruit cake for every need. we will advise you best!